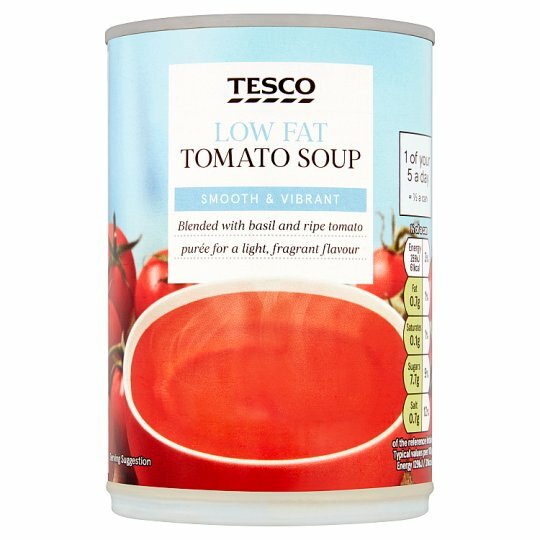 INGREDIENTS: Tomato Purée (57%), Water, Modified Maize Starch, Sugar, Salt, Rapeseed Oil, Whey Protein (Milk), Double Cream (Milk), Acidity Regulator (Citric Acid), Paprika, Basil Extract, Flavourings. Store in a cool, dry place., Once opened transfer unused contents into a non-metallic container, cover and keep refrigerated., Consume within 2 days. 800W/ 900W 3½ mins / 3 mins. Empty the contents of the can into a non-metallic bowl and cover. Heat on full power for 2 minutes (800W/900W), stir then heat on full power for another 1 minute 30 seconds(800W)/ 1 minute (900W).